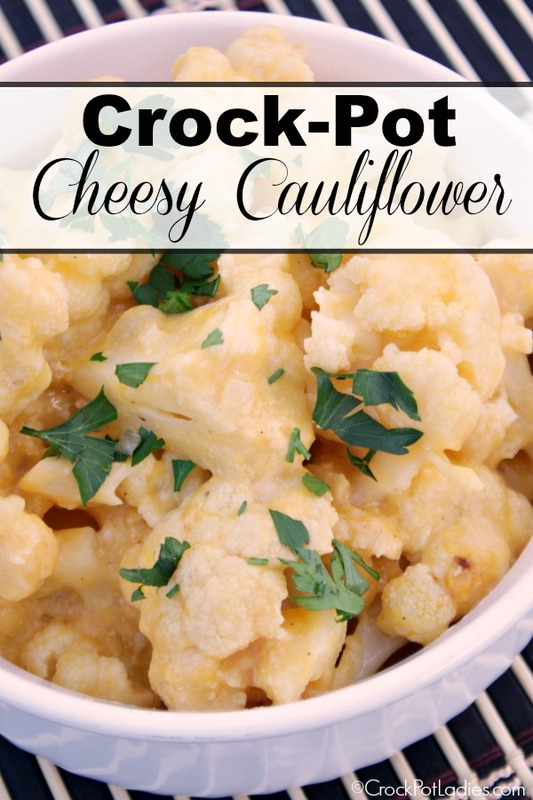 Make a yummy side dish that the whole family will love with this easy recipe for Crock-Pot Cheesy Cauliflower! Perfect for special occasions or everyday! This easy side dish is always a hit with my family. I mean how can you go wrong with adding a yummy cheese sauce that is lightly flavored with paprika and nutmeg (trust me on this ingredient…it brings out the cheesy flavor!). 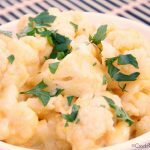 These cheesy cauliflower florets make the perfect side dish to make for holidays (think Easter, Thanksgiving, Christmas) but they are also one of my go-to recipes for everyday too. I can get this recipe prepped in just a few minutes in the afternoon, throw it in the slow cooker, and the side dish is done and ready to eat by the time dinner comes along. The cooking time on this recipe is only about 3 to 4 hours on the LOW setting and this is one of those cooking times where it depends on what the final texture that you and your family likes. If you like your veggies a little on the crisp side…cook it for about 3 hours…if you like them a little more done…cook them longer. This is all a matter of taste! Spray a 5 quart or larger slow cooker with non-stick cooking spray OR line with a Crock-Pot Liner for easier clean up. Add the cauliflower florets to the bottom of the slow cooker. In a large microwavable bowl add the cheddar cheese soup, evaporated milk, paprika, black pepper, nutmeg, cheddar cheese and onion and mix together. Cover bowl with a microwavable plastic wrap to prevent splattering. Microwave on HIGH for 1 minute, carefully remove plastic wrap, stir, and microwave on HIGH for an additional 1 minute or until the cheddar cheese is melted and everything can be stirred until smooth. **You may also cook the sauce mixture on the stove-top for a few minutes in a medium sauce pan until the cheese is melted into the sauce. 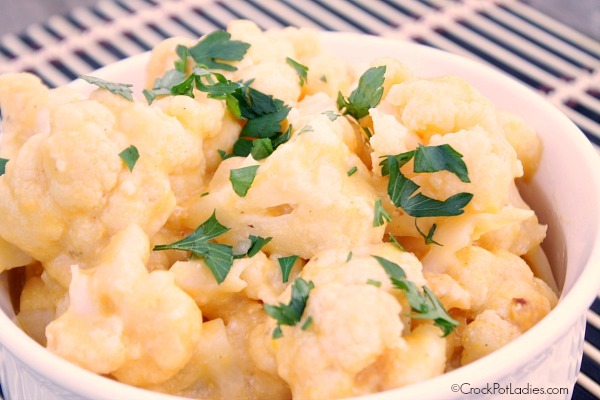 Pour sauce mixture over the cauliflower in the slow cooker and stir to coat all the cauliflower with the cheesy sauce. 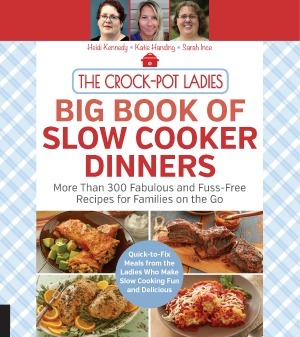 Cover your slow cooker and cook on LOW for 3 to 4 hours. Garnish with minced parsley if desired and serve and enjoy! Did you really mean you used Eagle Brand canned milk? It is sweetened condensed……Should it have been Carnation? You are right Barbara…that should have read Carnation not Eagle. Thanks for letting me know about my mistake.